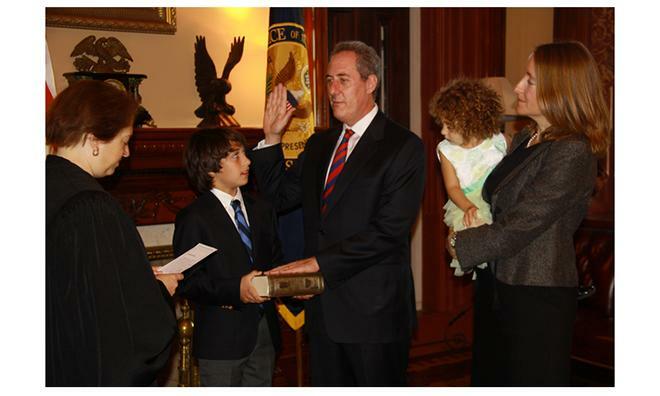 Acting on behalf of the Obama administration, U.S. Trade Representative Michael Froman announced it would veto the ban on older iPhone and iPad models ordered by International Trade Commission. According to a report by the Wall Street Journal, the decision to veto the ban was made out of concerns about standards essential patents (SEPs) being used to gain "undue leverage." The ITC ruled to impose the ban in June, and, barring a veto, it was scheduled to take effect on Monday. The ban, which affected some GSM-versions of older iPad 2 and iPhone 4 models, was based on a patent asserted by Samsung that is key to implementing compatibility with industry standard wireless networks. Because the patent in question is "standard essential," Samsung had committed to licensing the patented technology under Fair, Reasonable and Nondiscriminatory "FRAND" rates. That made Samsung's attempt to leverage the patent to block Apple's sales via an ITC import ban highly controversial, and out of step with a series of recent legal rulings worldwide. Companies seek ITC bans because they are generally easier to win than sales injunctions granted in federal court. Apple itself has won an import ban through the ITC, one blocking sales of HTC phones. However, that ban was based on patents that were not standards essential, meaning that HTC could have worked around Apple's patents without its products being rendered incompatible with prevailing industry standards. The ban was opposed by both a group of U.S. Senators including Sen. Amy Klobuchar (D.-Minn.), Sen. Mike Lee (R.-Utah), Sen. Barbara Boxer (D.-Calif.), and Sen. Jim Risch (R.-Idaho), as well as a consortium of companies including Microsoft, Intel, Oracle, Verizon and AT&T, all of whom appealed to the administration to exercise a rare veto. ITC was "out of step with basic antitrust rules"
Florian Mueller of FOSS Patents noted that "this is the first veto of an ITC ruling in decades, and I believe the ITC's majority opinion was so out of step with basic antitrust rules (such as tying) and its effects would have been so very anticompetitive and anti-innovative that this veto was unfortunately necessary." He added, "The issue here is not primarily what would have happened to those older iPhones and iPads —I'm sure Apple could have handled the situation somehow. The problem is that this would have made the ITC the forum of choice for SEP abusers (strategic abusers who want to get away with infringement of non-SEPs as well as overly aggressive monetizers)." Mueller also explained, "I'm sure that it wasn't an easy decision to veto the only significant win Samsung had scored against Apple in the earth-spanning patent dispute between the two companies, considering the special relationship between the U.S. and South Korea, but the USTR's letter makes very clear that this is not about taking sides with or against any particular company —it's all about protecting the industry standard-setting system against the abusive pursuit of injunctive relief by certain players." Samsung itself benefits from the message of the veto, because as Mueller pointed out, the company is currently "defending itself at the ITC against a SEP-based InterDigital complaint." Mueller stated that in granting Samsung an SEP import ban, the ITC had "acted in connection with this investigation like a government agency that is out of control." He directed attention to Froman's instructions to the ITC to proceed with caution in parallel cases involving FRAND-pledge SEPs. The administration instructed the Commission to "examine thoroughly and carefully on its own initiative the public interest issues presented both at the outset of its proceeding and when determining whether a particular remedy is in the public interest" and to heed to "the standards-essential nature of the patent at issue." Apple hailed the veto, stating "we applaud the Administration for standing up for innovation in this landmark case" and adding that Samsung was "wrong to abuse [the] patent system this way." Froman said Samsung can continue to pursue its patent rights through the courts. Update: additional detail on the patent behind Samsung's vetoed ITC sales ban.